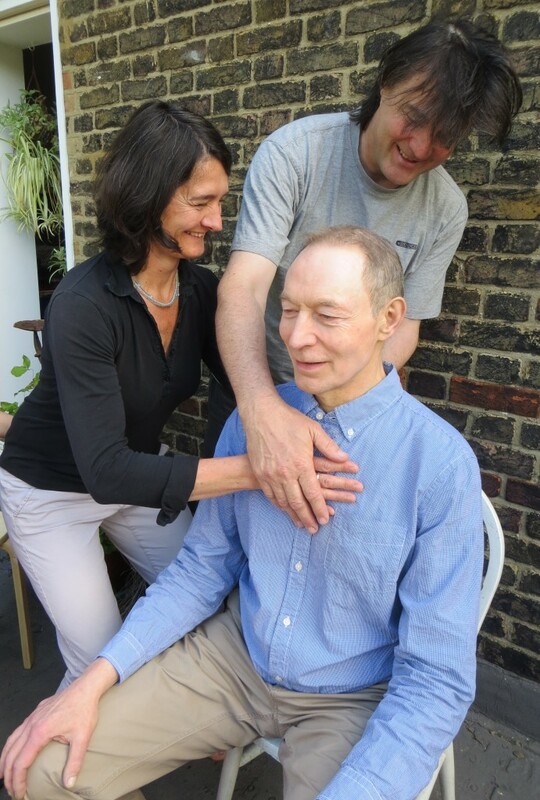 The training course at LCATT offers a thorough Alexander Technique teacher training over a three-year period based on the requirements of, and accredited by, The Society of Teachers of the Alexander Technique (STAT). Our vibrant school welcomes students to our course which gives a professional training in an encouraging and lively atmosphere. 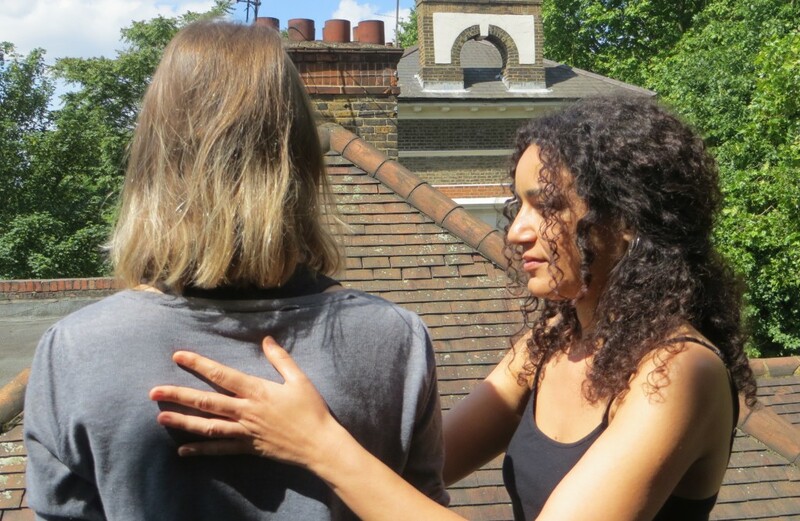 We are experienced at supporting people through their process of change and development and are very committed to teaching the Alexander Technique in a way which allows each person to make the work truly their own. In a practical context students will gain a strong foundation for making the Technique a lifelong process. By teaching its principles it is our intention to inspire personal and professional resourcefulness, creativity, maturity and independence, and to create good Alexander teachers. We have, at LCATT, a core of three regular teachers, the head of training and two assistants. They are all very experienced and have worked together for many years. They come from very different training backgrounds but have a deep respect for each other’s ways of working and so enhance each other’s skills. In addition, there is a team of eight further teachers who come into the school from time to time. This gives students a wide experience with both continuity and variety. We also have frequent visiting teachers who bring ideas and skills of their own, sometimes in specialist areas. (Click here for a list of visiting teachers) We meet regularly with other training courses to keep the connection with the bigger Alexander community. 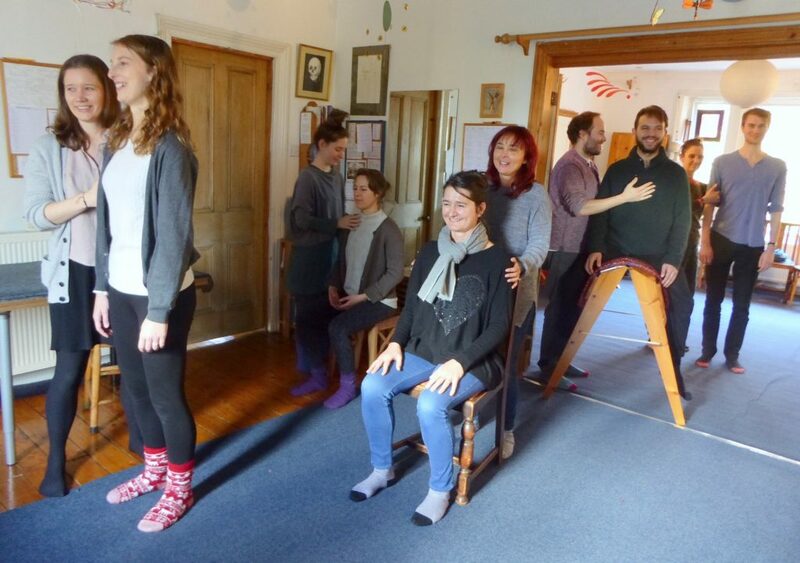 The major part of the course is practical and its core content is the development of the student’s own use and self-awareness according to Alexander’s principles of ‘inhibition and direction’. The timetable includes lessons, ‘turns’ and directed activities with teachers and other students. A fundamental aspect of the training is that the students are taught to work on themselves so that they can take this experience into their teaching lives afterwards. Each term is loosely based on a theme of either something related to the Alexander Technique philosophy or some aspect of the practical work. There is a gradual introduction of ‘hands-on’ skills taught in a variety of ways. Working through a range of ‘hands-on’ procedures students are taught to develop sensitivity in their touch and intuitive knowledge in their hands. They are encouraged to experiment, and with the support of the teachers they can learn to explore and trust their intuition so that they can find their own way through their personal Alexander development. Added to this there is specific training in improving observation plus coaching in verbal and presentation skills. Time is also given to doing voice work in relation to the Alexander Technique. Other specialist topics that have been offered by visiting teachers include work on eyes, feet, running, saddle work and more. Our moderator Lucia Walker also visits the school several times a term. Students are given an opportunity to learn to develop their own ideas for running groups and doing individual work within a group situation. Towards the latter part of the course students learn to work, under supervision, on members of the public to smooth the transition to becoming independent teachers. This includes teaching in a low cost ‘clinic’ at LCATT (see Postgraduate/ Supervised Lessons) and to assist Hilary King and other teachers with small introductory groups. After graduation there is the valuable opportunity to work with Judith Kleinman or Peter Buckoke at the Royal College of Music. The theoretical part of the training includes the study of Alexander’s books and other texts, anatomy, discussions, videos/DVDs, presentations by students, writing of diaries and reports. There is often a lot of lively discussion, including at tea break, which we all take together. 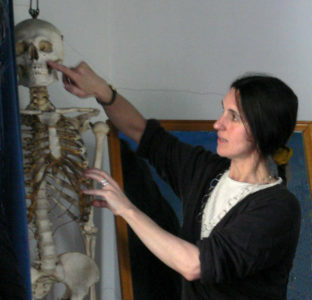 Once a week we have a practical anatomy session showing how the Alexander Technique makes sense of the intrinsic design of the body. 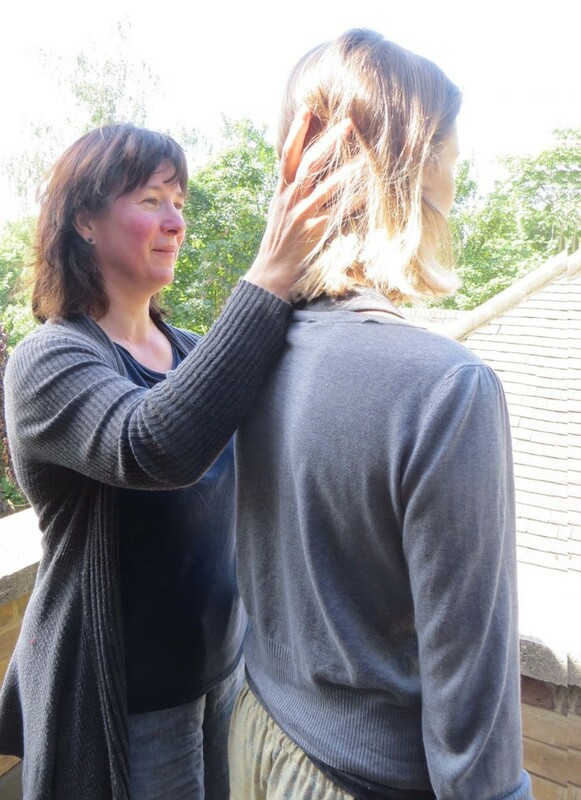 The resource of ‘body mapping’ is an integral part of the teaching on the course. Students leave with a good sense of their own anatomical structure and how to use this knowledge in their own teaching practices. Students are expected to do a postgraduate teaching term after qualification, attending the school at least once a week, to help their transition to becoming working Alexander teachers (see postgraduate).They are always welcome to visit any time thereafter and many of them do. 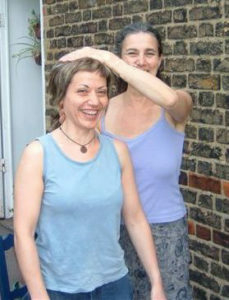 By the end of the training it is expected that students will have developed a knowledge and understanding of Alexander’s principles through their own use and their work with others so that they can continue their personal development and communicate the technique to others by the use of their hands, as well as verbally, in an independent and professional manner. Take a look at the Alumni page to see what our graduates have been doing since qualifying. The course is accredited by STAT (The Society of Teachers of the Alexander Technique). The requirements for training are 1600 hours, usually over a period of three years (nine terms). The course may be joined at the beginning of any term. The course is monitored, and students have the benefit of working with a moderator appointed by STAT, in their sixth and ninth terms. On successful completion of the course students are awarded a STAT certificate and may become teaching members of the Society. The course is full time over a period of three years with three terms a year. It runs for four days a week (Monday to Thursday) for four hours each day. Students can start the training at the beginning of any term – September, January or April. Prospective students are encouraged to visit the course. Ours is a very welcoming atmosphere and we hope you will feel free to call or email to arrange a visit. Fees are £1,600 per term for a minimum of nine terms. A deposit is payable on accepting a place and this is offset against the final term of training. Prerequisites for application are – previous Alexander experience, a lesson with the director and the two assistants and a visit to the school plus an application form. Please email for the form and further information.